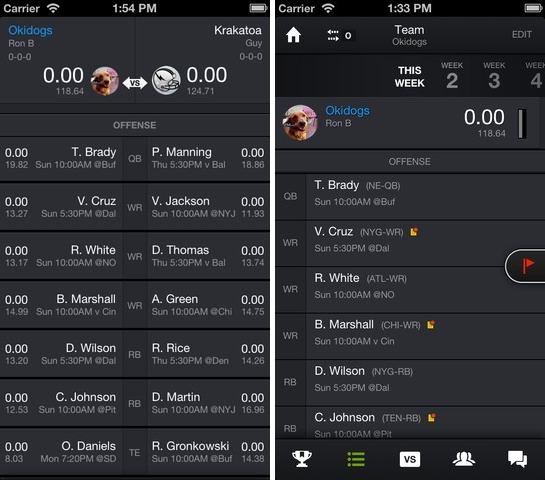 Yahoo has updated the iOS app for its incredible popular Fantasy Football product for the 2013 NFL season with mobile drafting, a much-requested feature. Before, fantasy team owners were required to use a full-sized computer to conduct a fantasy draft, while now players will be able to draft from wherever they are. 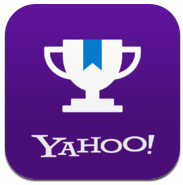 Today, the Yahoo! Fantasy Sports mobile team is proud to share some news. We’re launching the 2013 Fantasy Sports app for iPhone, iPad, iPod touch, and Android smartphones, with a new design and lots of great new features. Front and center is what you’ve all been asking for — mobile drafting! As a Yahoo! Fantasy Sports Football manager, you can now sign up, draft a team and win your league championship wherever you are. Players can follow their team with live scoring, roster management, breaking news, message boards and more. Other new additions to the app for this year include notifications and mock drafts.